Tic Tac to change name with new single, Joe Konka? Some industry players are uncertain about a seeming change of name by multiple award winner, Tic Tac. The confusion emerged out of the name he used in his latest single, Joe Konka. What seems to be the new name was stressed throughout the song. In the song, the hit maker asked that they address him as Joe Konka. “Joe, Joe, I really really want you to call me Konka” he said lyrically. It is not certain whether he has rebranded to Joe Konka. The song, which is a fusion of hiplife, Afro beat laced with hiphop, features a rising sensation, who doubled as his producer, Geesup. From the tempo and groove of the song, the song has been tipped to make waves in the coming weeks. 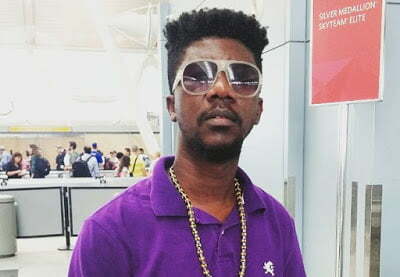 Tic Tac proved his versatility once again, as he switches his mode of singing and rap to suit the groove of the song. Joe Konka, which was produced by Geesup, is another single from his much anticipated 7th album christened, ‘Illusions’.